The Black Tourmaline crystal stone is also one of the most powerful minerals for absorbing electromagnetic radiation, which makes it excellent for placing near computers and other electronics. It's also a decorator's dream with an intense black color that makes a striking statement piece in your home décor and also goes with everything. An excellent addition to the Feng Shui of your home, Black Tourmaline crystal properties serve as a powerful energy protector that's magnified even more when placed in each of the four corners of a room or property. Another way to incorporate the Black Tourmaline crystal healing properties into your life is by placing a stone in a small bowl of water and leaving it in the main living areas of your home. 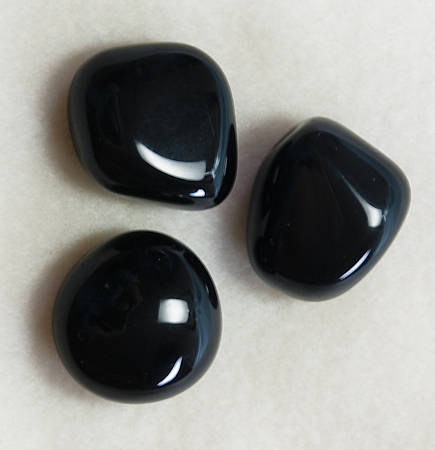 This daily ritual helps keep your space cleansed and harmonized by using Black Tourmaline to ward off negative energy in your environmentBlack Tourmaline is used to protect from earth demons as they cast their spells. Today this stone is still revered as a premier talisman of protection, a psychic shield deflecting and dispelling negative energies, entities, or destructive forces. It guards against radiation and environmental pollutants, and is highly useful in purifying and neutralizing one’s own negative thoughts and internal conflicts, and turning them into positive, usable energy.Black Tourmaline is an excellent grounding crystal for meditation and healing, and a small number of Black Tourmalines are double-terminated, ideal for body layouts. The linear flow of energies is enhanced equally in both directions along the crystalline form. Black Tourmaline is one of the most powerful crystals for protection and elimination of negative energy. It helps to put an energetic boundary between you and others, so that you don’t pick up unwanted energies. Our resident crystal expert, Heather Askinosie, recommends placing a piece of black tourmaline in a bowl filled with salt and water, and setting the bowl outside by your front door. She has a bowl for each member of her family living within the house. After each family member programs their crystal to lend them protection, the crystals are energetically activated with their intention. This keeps her family from bringing unwanted energy into the house with them. Black tourmaline’s protective energy is also ideal for entryways inside the house, if you can’t place your stone outside or hide it a potted plant. Set a piece of black tourmaline by the front door, inside your home. This will seal off your home, so that any negative vibes that you collected at work or outside don’t follow you into your house.